1) This inflatable garage is made for mobile detailers. It can be sets up in a matter of minutes . 2) Just places it on the ground in front of the car and begins to open it out. use an air pump to inflate it. 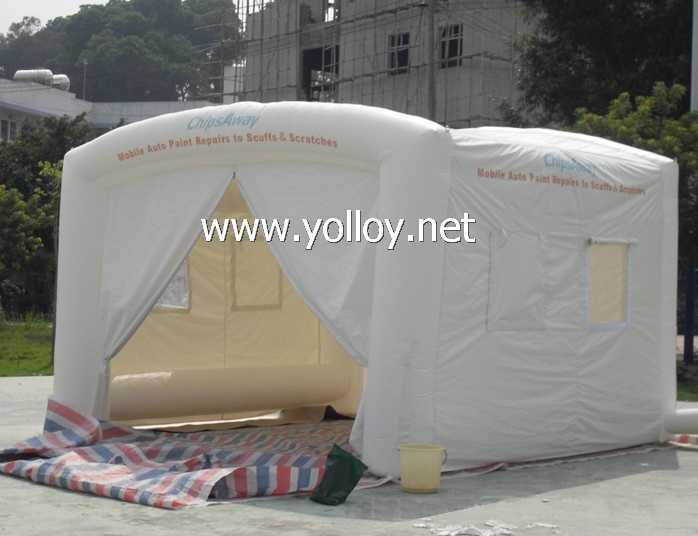 3) This tent has 4 openable windows which can roll the curtain up when client need some sunlights in. 4) And there are some D rings on the bottom of the tent, we would attach client some nails. And client can use some nails and ropes to fix the tent on the ground, which makes the tent stand firmly. We can make an inflatable garage to meet client's needs. Different choice of colors is Available. We can add doors, windows and custom printing according to client's requirement.